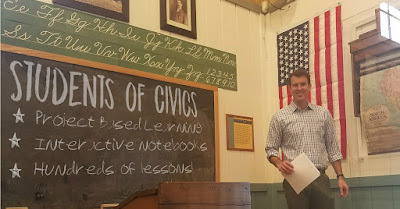 Exciting news for Civics teachers: my new American Government curriculum is almost complete! 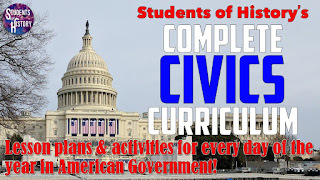 This curriculum, available at StudentsofHistory.com includes full lesson plans for every day of the school year!!! 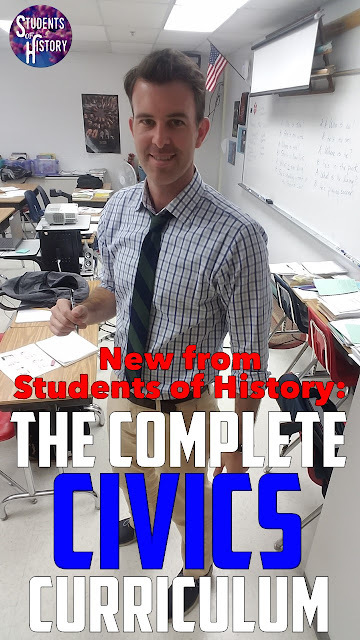 Yep, not only do you get the most engaging social studies resources available anywhere, you also get easy-to-follow lessons to help you through all of the great activities and how to use them successfully in your classes. Each unit is filled with awesome resources like interactive notebook pages, digital Google Drive activities, PowerPoints with guided notes, and more! You can take a closer look at the resources here. Simple lesson plans accompany all of the activities for every day of the year as well, so there's no wondering how to use a resource in your class. 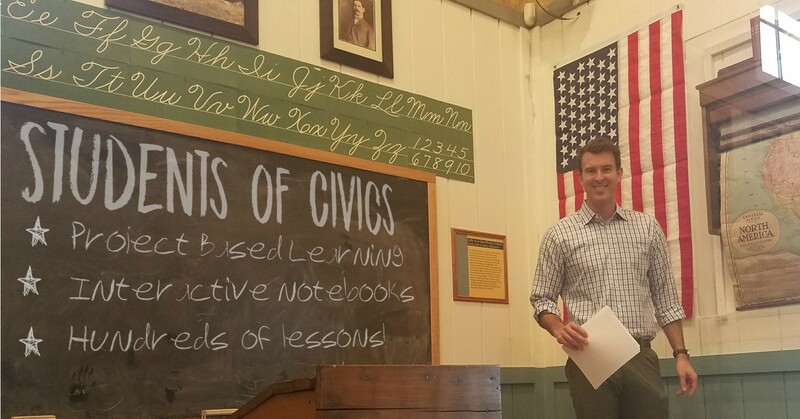 These lesson plans include links to relevant videos and websites to enhance each lesson. Plus to close out each unit, there are multiple review games like Kahoot, Quizizz, FlipQuiz, Quizlet Live, and more before it culminates with an editable assessment. 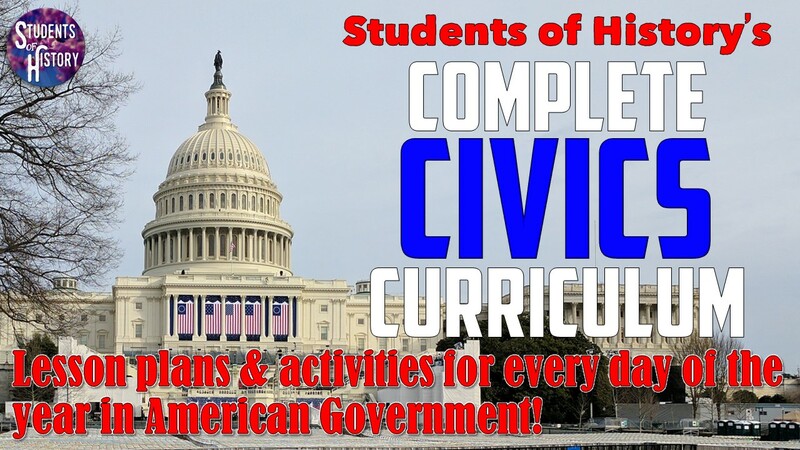 You can join Students of Civics today and get immediate access to ALL of these amazing resources right away. If subscribing isn't for you, you can also download each unit individually here on TpT!